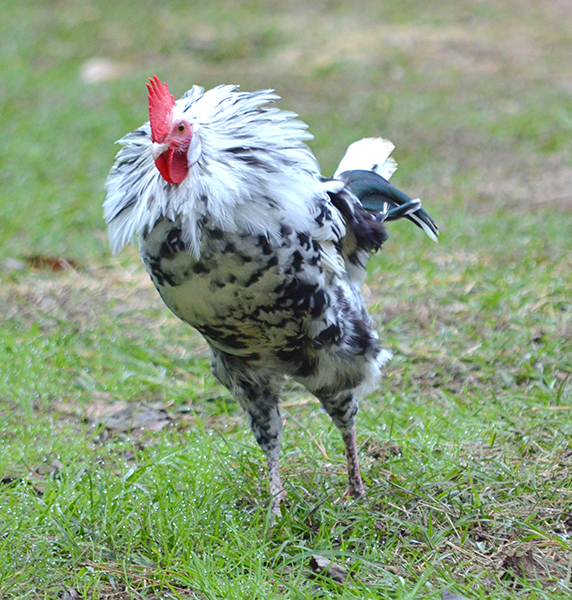 The Orust is a landrace of chicken that emerged on the western coast of Sweden where it survived by free-ranging along the rocky shores of Orust island, a windswept and desolate place that is home to only 1,800 hardy seafarers. The Orust is a small to medium-sized large fowl that learned to scavenge a varied diet to survive. It has been known the eat fish, for example. 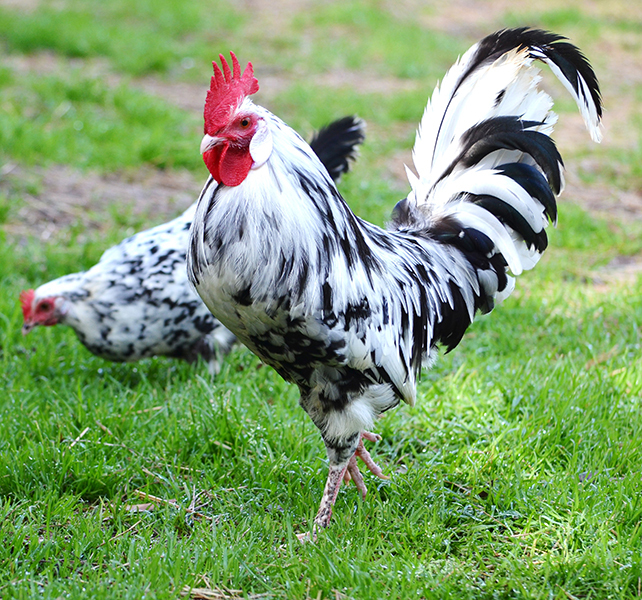 Its exotic origins are matched by its exotic good looks: it has a wonderful black and white mottled feather pattern that is virtually unmatched in the chicken kingdom, and the pattern often carries through to a mosaic of black and white scales on its legs. 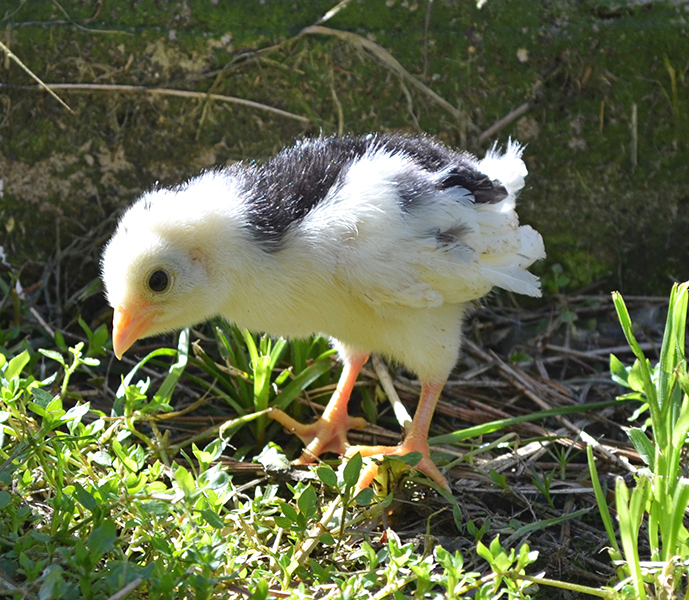 The chicks are equally beautiful with their panda-like fields of black and white down. Greenfire Farms imported these birds from Sweden for the first time in 2013. 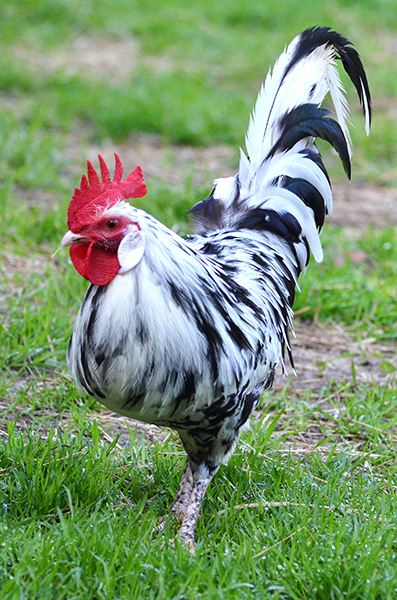 We have found this to be a very hardy breed, and one unusual characteristic is that the roosters’ wattles become a bright iridescent violet color whenever they become agitated; a state that is often encountered because they are protective of the hens. 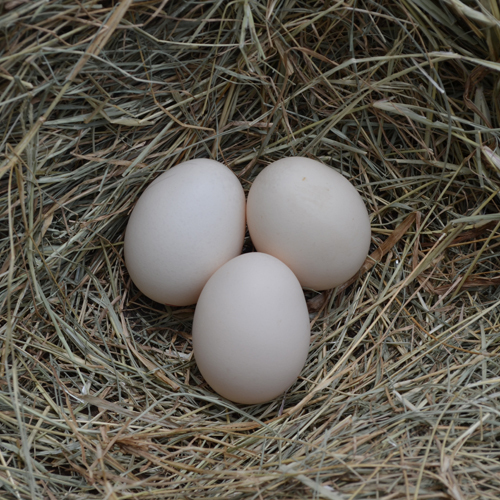 The hens are reasonably prolific egg layers, and they produce a small to medium-sized white egg. 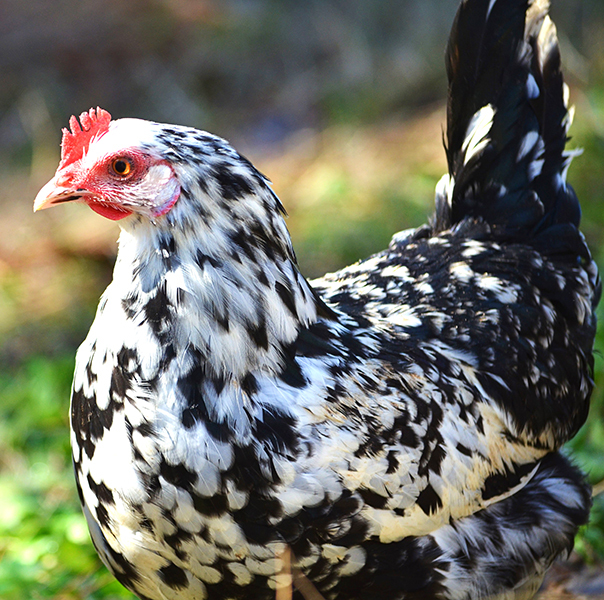 Orust are so rare that even learned chicken experts often are unfamiliar with the existence of this landrace of chickens, and a 2013 census put their total global population at 463 birds. 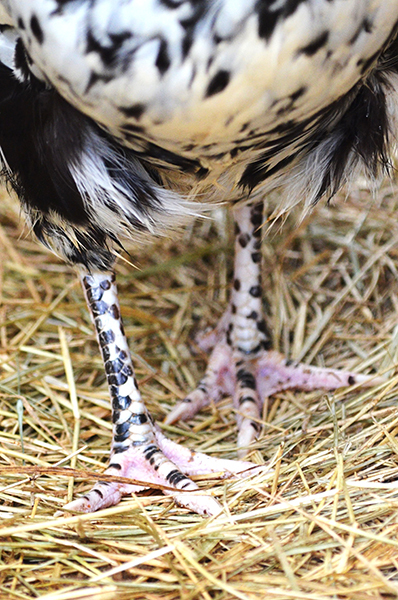 But, you can now have the pleasure of curating these beautiful chickens in your own backyard.